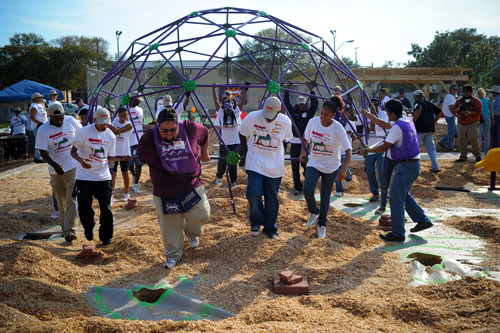 See a one-day playground build in action! KaBOOM! 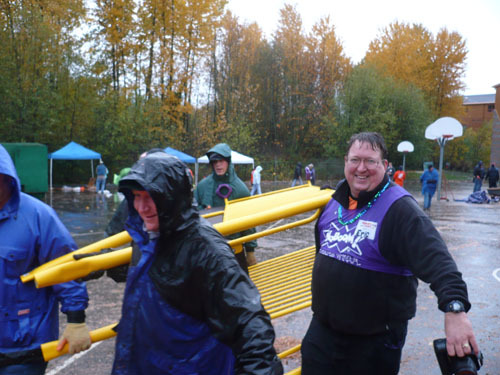 is famous for our one-day, all-volunteer playground builds. It's a ton of fun! But what does a one-day playground build truly look like? Well, wonder no longer. In case you haven't checked them out yet, we regularly post photos from Build Days in our photo gallery. 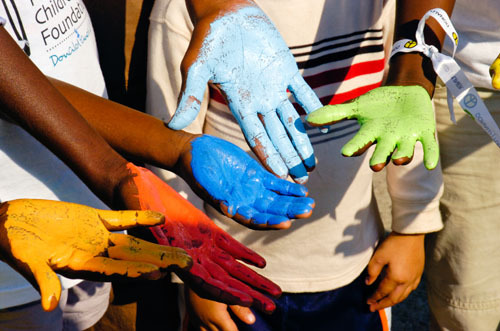 We also have an extensive collection of videos from playground builds. Here are some of my favorite photos and videos of the moment.